Originally educated as a painter, Eva Spierenburg’s work gradually shifted towards multimedia installations. These comprise an arrangement of painted objects, sculptures, drawings, found items, photographic prints and video. Materials in the work share tactile qualities. 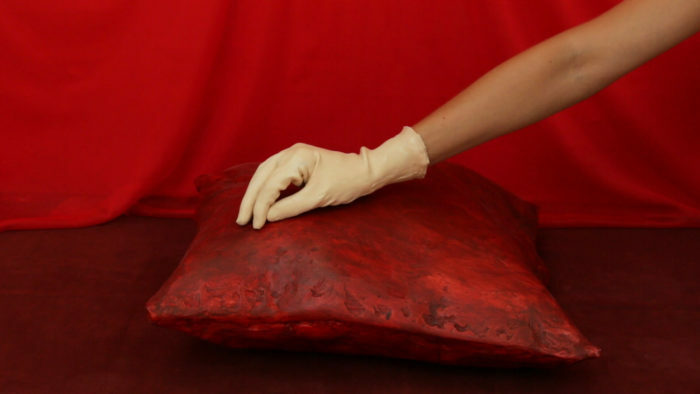 Organic matter like unfired clay and wood are combined with styrofoam and synthetic fabrics. The human body constitutes a recurring motive to Spierenburg’s installations, often approached from an intimate point of view. The body finds it’s form in a collection of attempts to materialize physical experiences and states of mind. Works are lingering between life and death, presence and absence, solid and soft, earthly and spiritual. Opposites find each other in a state of transition or ambiguity. 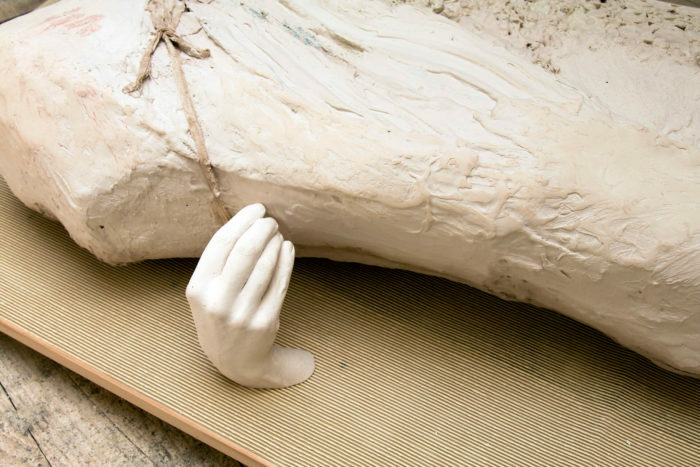 Over the past several years, the emphasis in Eva’s work has lain on the instability of the body; on the transition to a form of absence in sickness and death. 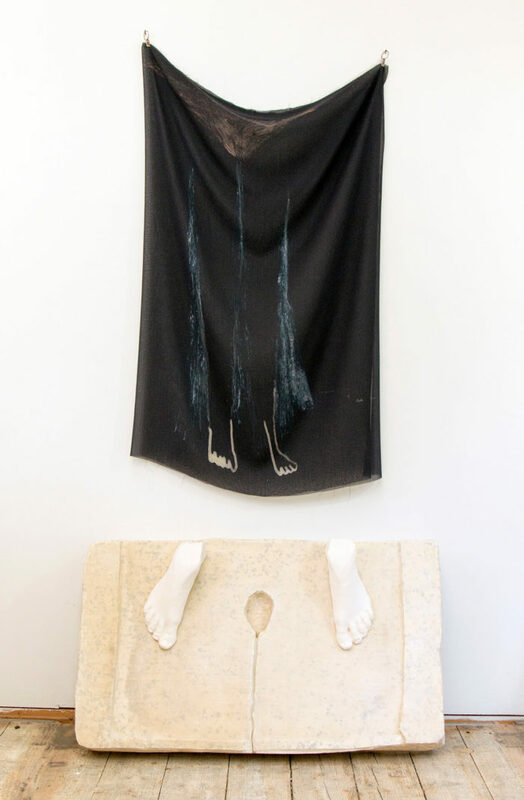 In her current work, the focus is on the relationship between body and environment – on the body as a vehicle for the individual to establish contact with other people, with objects and with the space we inhabit. The human being is present in what (s)he leaves behind when the body moves from a location; present through touch or interaction with his environment. Eva Spierenburg earned her Bachelor degree at the HKU in Utrecht, the Netherlands in 2009. 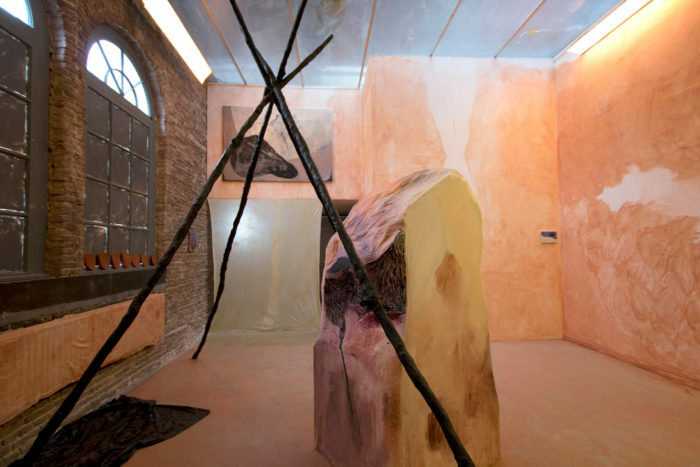 In 2013 she was an artist-in-residence at Le Cube- independent art room. 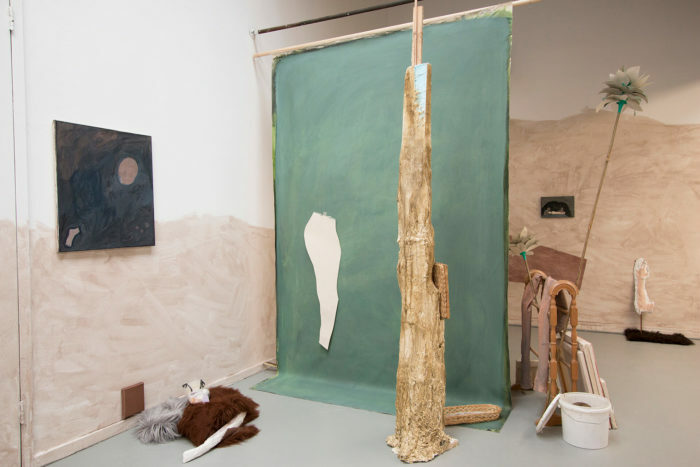 Other residencies include the Rijksakademie voor Beeldende Kunsten in Amsterdam (2015-2016), and the Centre d’art européen chinois (CEAC) in Xiamen, China (2018). Spierenburg’s work has been exhibited both in the Netherlands and abroad, i.a. in Djupivogur (Iceland) and Leipzig (Germany). In 2018 she won the K.F. Hein Stipend. This award includes a solo exhibition at the Centraal Museum in Utrecht, in 2019. • “He is actually me”, 2014-15, 3min39. • “Recreating my mother, Attempt 4”, 2015. Vidéo projection, 47min35. • “Dadduckdead”, 2016), vidéo projection, 4min56. • “Three stages of being red”, 2018, 5min. Eva Spierenburg, "And everything unfolded" (detail), 2018. Pigmented plaster, styrofoam, acrylic resin, burlap, textile, wood, rubber mat, 130x62x30 cm. Eva Spierenburg, "The beginning and the rest", 2015. Installation view RijksakademieOPEN / i.a. styrofoam, plaster, clay, wood, acrylic, paper, textile. Eva Spierenburg, "The body and the ground", 2016. Installation view RijksakademieOPEN / i.a. terracotta clay solution, styrofoam, textile, plaster, acrylic, plastic, expoxy. Eva Spierenburg, "Trying hiding", 2018. Styrofoam, cheesecloth, plaster, acrylic, print on polyester, pencil, 171x86x27 cm. Eva Spierenburg, "Three stages of being red", 2018.